I assume you’re using a free WordPress theme that doesn’t come with author box feature. Or maybe you’re not satisfied with your current author box, then no worry you still have a solution to add an Author box to your WordPress site. Articles should have some details about the author, so the readers can connect personally with them and reach out to them through social media, their website, email, etc. And it also helps to build trust with your readers. It is very important to understand the logic behind every step you take. Similarly, by adding the Author box to WordPress it gives credibility to the website. 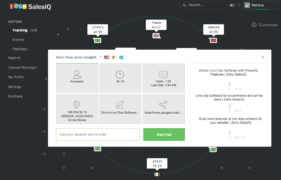 It gives authorization to the work you ought to upload and helps the user to gain trust in the information you wish to spread. It is always an intellectual approach by letting the users know, who exactly is the face behind the work, one is investing his time on. It is a brilliant way for the author to interact with the users. This also enables users to connect to the author through social media. There are two ways you can add author box to your website. That’s why we bring out some excellent Author box plugins which let you add an author box to WordPress site very easily. 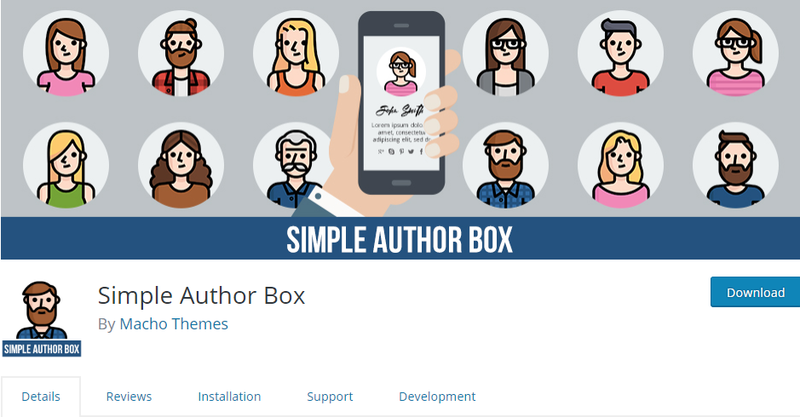 We included seven author box WordPress plugins. By using these plugins, you will be able to display author information, links to their social media profiles and recent articles. Simple Author box plugin is the simple plugin out there as the name said which enables you to add your social networking details along with a brief introduction in a small and beautiful box. This plugin is AMP and RTL supported. It also has smashing appearance across every platform, be it a phone or desktop. It can even be customized according to the theme you had put and has author gravatar display. 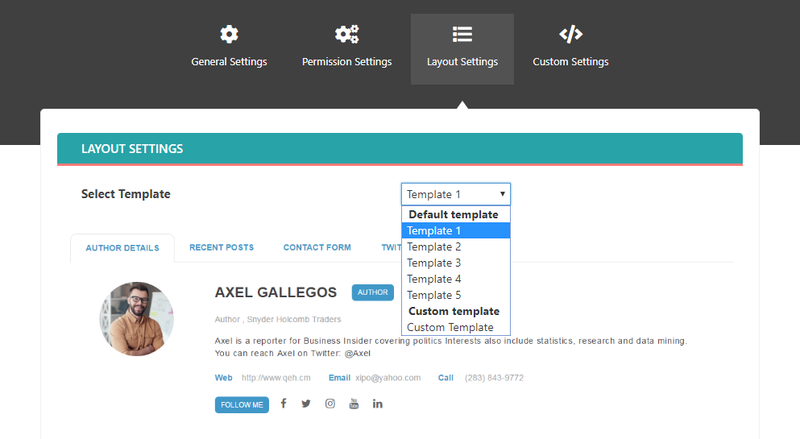 Once you activate this plugin, you can find this plugin’s setting in left side wp dashboard where you can customize the author box. As the plugin lets you change the font family, size and color, you can easily customize the author box to match your existing design. It is also possible to hide the author box if the author description is empty. With this plugin, you can add 30 social profile fields on WordPress user profile screen, allowing to display the author’s social links. Ultimate Author Box Lite is a FREE WordPress author box plugin that allows you to add additional information about the author in your Post, Page and Custom Post Type as a default option or through use of a shortcode. This plugin has plenty of options customize the author box. This plugin offers 5 different templates, so you can choose your desired template in Layout settings. It also let you add custom image as an author image in User settings. Starbox plugin provides lavishing looks to the author box which intends the user to surf all the way long to learn more about the author. This plugin enables you to move, shift or drag the author box anywhere suitable to you. 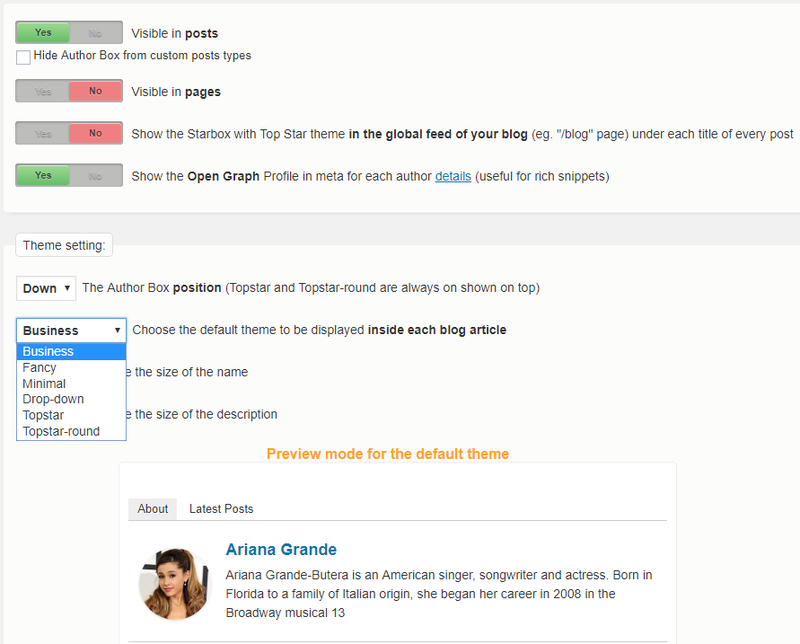 This also enables to customize the box according to the themes you desire to put upon. It comes with easy setting panel where you can customize the author box as this plugin have 6 different author box layouts that you can preview in real time( I don’t like last three ones). If you like above author box, you can consider to install this plugin. Once you activate the plugin, you’ll find this plugin in Settings > Starbox where you can customize author box. 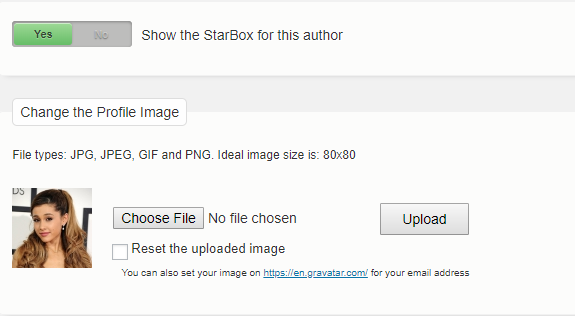 If you go to user settings then you’ll notice this plugin let you add custom author image instead of the Gravatar image. And also let you add Job Title, Company, Company URL so in author box it will see as Writer at Company name with a link. Starbox is available in the WordPress directory, but if you want more, including Social Icons and High Priority Support, then you can consider to buy their premium version. Fancier Author Box is a free WordPress plugin developed by ThematoSoup. This lightweight plugin will add a simple attractive author box at the end of your blog posts. 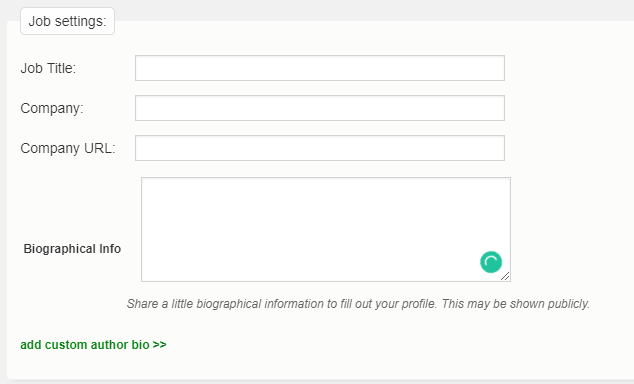 The author box displays the author name, description, and links to various social media accounts. 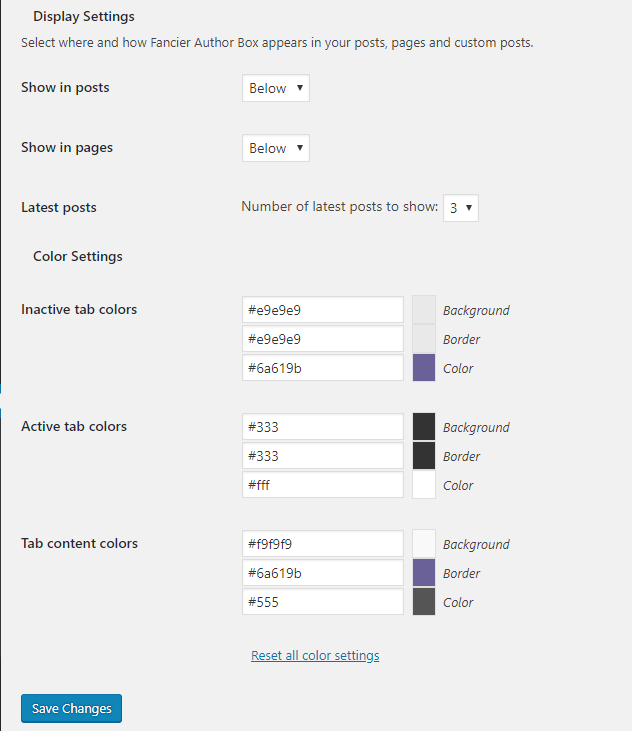 It has very less option to customize than above ones but you can change the colors of the author box. It also shows the latest post by the author as in a separate tab. If you wish to add social links below the description, you can add it in User settings. As you can see this plugin use Gravatar account image as an author image so this plugin will not let you add custom author image. But you can install WP User Avatar plugin by flippercode to let do this job. I found it to be more customizable than any other plugin out there. Another feature of it I really like is the option to authorize a post to a guest author. As you know, WordPress only lets you assign one author to a single post. and that author must be a registered user with an account to your WordPress installation. but this plugin let you give multiple authors credit on one post. 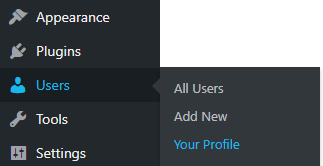 It also has a feature called bylines, with this feature you can add author box without asking new users to create an account. With over 30,000+ Active Installations, Meks Smart Author widget is the good option and well-rated author box plugin out there. This plugin will helpful if you wish to get you Author box in the sidebar or widget ready area. ‘Meks Smart Author’ here: Appearance > Widgets. Besides the regular options, the plugin also has an auto author detection feature. By using this feature, the widget will automatically display the author info from the profile. But you must necessarily select “automatically detect author’ to work this feature. 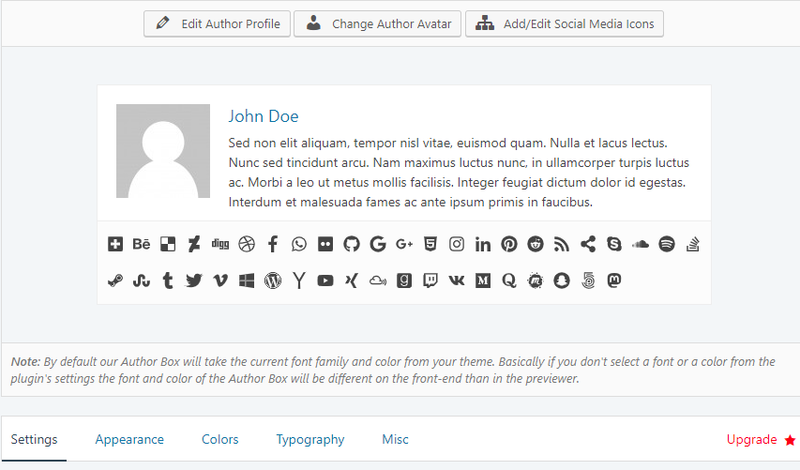 The plugin also lets you choose the avatar size, and display the author name and description. These are the top Author box plugins in market, there are some premium plugins range from 20$-40$ price. But investing in author box plugin is will be waste I think. Better to purchase a premium theme instead which will show better author box than above plugins. And if you think I have missed an author box plugin here, let me know in comment section. I will be glad to know your opinion and probably add it here.